The daily energy requirements are now based on replacing the measured daily energy expenditure (WHO/FAO/UNU 1985). When energy expenditure is equal to energy intake, energy balance is achieved, and is best indicated by weight stability. The specific energy requirement (expenditure) of a population is calculated using a factorial method that is based on the product of estimates of the basal metabolic rate (BMR), and the physical activity level (PAL). Some calculations also consider additional energy expenditure due to the thermic effect of food (TEF) which typically is about 10% of BMR. During pregnancy, and in childhood energy cost of deposition of tissues and optimal growth and during, lactation, energy cost of milk secretion is added. However, the factorial method is potentially problematic, as errors in any one factor propagate through to the final estimate of the requirement. For example, BMR is predicted from age and gender specific equations provided by the FAO/WHO/UNU, but these equations overestimate BMR of adult Indians by 5 to 12%. The PAL used for sedentary activities may also be wrong. In the latest recommendation of the Indian Council of Medical Research, the PAL is taken to be 1.53 for sedentary adults; this may need to be revised to a lower value as studies indicate that PAL of sedentary adult Indians is generally lower. 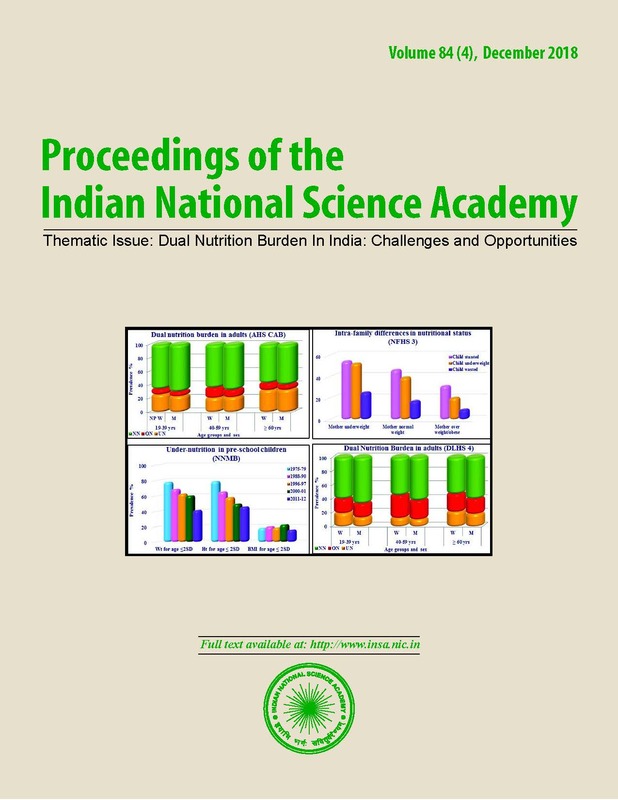 in this context, the current energy recommendation may be overestimated in Indians, and should be reconsidered in the context of the dual burden of nutritional disease. Nutrition Board, National Academy Press Washington DC. National Family Health Survey (NFHS) 4 Fact Sheets. of India by Rangarajan Committee. planningcommission. rates of South Indian males Report to FAO, Rome. American journal of clinical nutrition 60 23-28.